Despite what the public has been told, Common Core is still the set of standards being used in North Carolina. Right now, the North Carolina Department of Public Instruction (DPI) is revising the Kindergarten through 8th grade English Language Arts (ELA) standards. 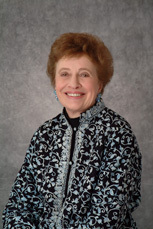 Sandra Stotsky is credited with developing one of the country’s strongest sets of academic standards for K-12 students as well as the strongest academic standards and licensure tests for prospective teachers while serving as Senior Associate Commissioner in the Massachusetts Department of Education from 1999-2003. She is also known nation-wide for her in-depth analyses of the problems in Common Core’s English language arts standards. In 2015, Dr. Stotsky and her validation committee member colleague, Dr. James Milgram, both testified in front of the NC Academic Standards Review Commission (ASRC). Neither Dr. Stostky’s nor Dr. Milgram’s recommendations were incorporated into the ASRC’s final recommendations. In fact, after meeting for 15 months, the ASRC failed to accomplish the simple task appointed to them by the state legislature of offering recommendations to replace Common Core. Dr. Stotsky noted that from what she had seen of the recent changes, that there is next to no literary or historical content anywhere in the revisions. RI.9-10.9 Analyze seminal U.S. documents of historical and literary significance (e.g., Washington’s Farewell Address, the Gettysburg Address, Roosevelt’s Four Freedoms speech, King’s “Letter from Birmingham Jail”), including how they address related themes and concepts. This poses the question: Does DPI believe that most kids in high school are capable of reading our seminal documents? Dr. Stotsky has offered to do a review of DPI’s ELA revisions – pro bono. Superintendent Mark Johnson was asked for comment about whether or not he would take up Dr. Stotsky’s offer but did not respond before this article was published. This article first appeared at American Lens News in March 2017. This entry was posted in Common Core, EDUCATION, NC Board Of Education and tagged Common Core, Mark Johnson, NCDPI, Sandra Stotsky. Bookmark the permalink.